We’re giving away $1,500 worth of Amazon eGift Cards! Weekly Prizes: A prize consisting of one (1) Amazon eGift Card in the amount of $250 USD (the “Weekly Prize”) will be awarded each week during the first four (4) weeks of the Sweepstakes Period. The total approximate retail value of all Weekly Prizes is $1,000 USD. Grand Prize: At the end of the Sweepstakes Period, one (1) grand prize will be awarded, consisting of one (1) Amazon eGift Card in the amount of $500 USD (the “Grand Prize”). The total approximate retail value of the Grand Prize is $500 USD. The total approximate retail value of all prizes to be awarded is $1,500 USD. The Sweepstakes is open to legal residents of California, Delaware, Illinois, Kansas, Mississippi, New Mexico, Ohio, Texas, Utah and Wisconsin who are 18 years of age or older as of the date of entry, and to legal residents of Alabama who are 19 years of age or older as of the date of entry. One (1) daily entry per person per Facebook account; up to seven (7) entries a week. All weekly entries will be included in the final Grand Prize draw. After completing the entry form, you can receive additional entries by sharing a unique Sweepstakes URL with your friends. For each person that enters using your unique link, you will receive three (3) additional entries towards the Weekly and the Grand Prize draws. Potential winners will be notified within the timeframes outlined in the Official Rules and Terms and Conditions via the email addresses they provided at the time of entry. For additional information, please read the Official Rules and Terms and Conditions. 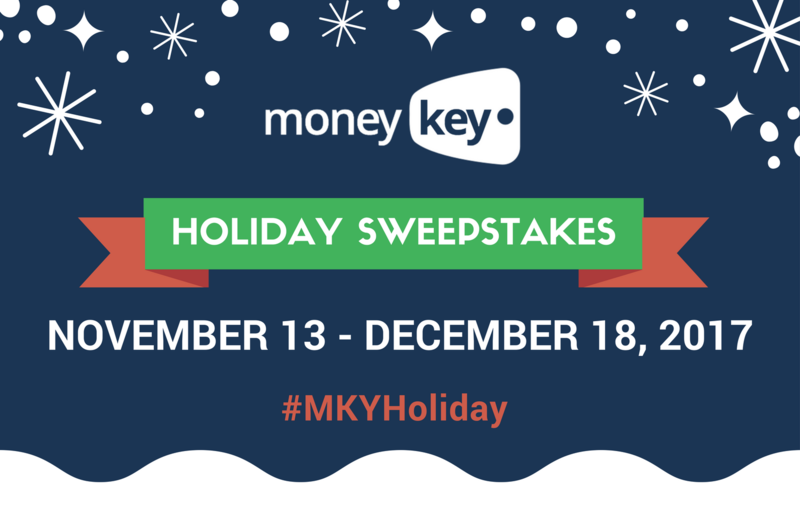 Remember to ‘Like’ and “Follow” us on Facebook to receive future MoneyKey promotions and updates.